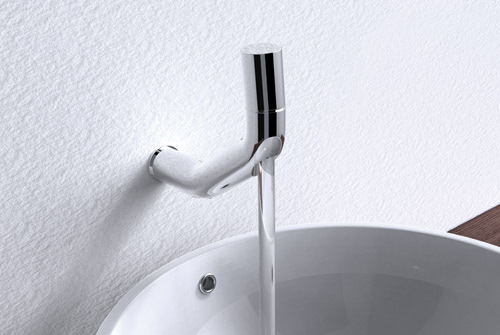 Bonomi is a century-old Italian company making some of the finest taps and fittings. 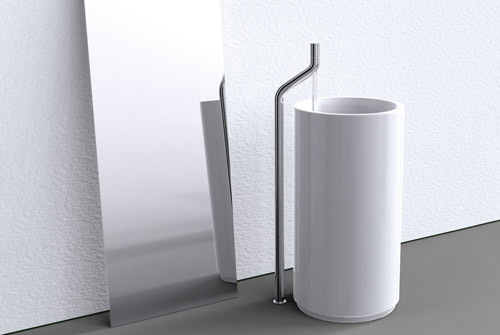 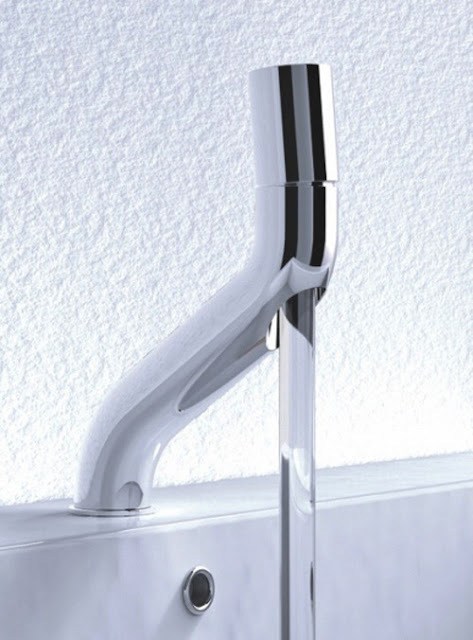 The concept behind the Virgo line is that the faucet represents an extension of the pipes that carry the water into your home. 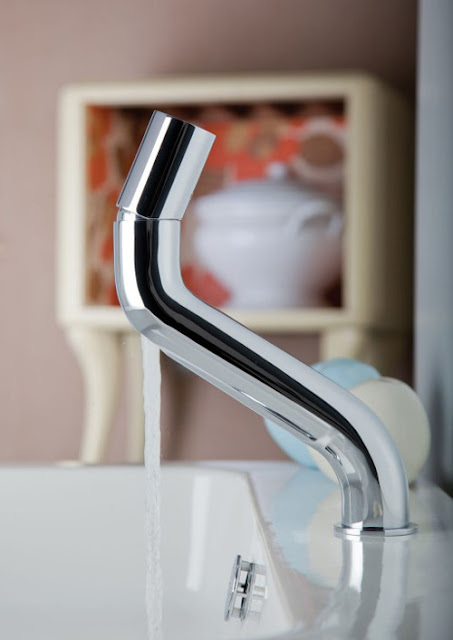 When dispensed, the water forms a perfect line with the tap head. Flow and temperature are controlled are on the top.